A green dragon suit, jokes and some magic tricks—Piff the Magic Dragon had the four judges fully entertained during his 2015 audition on NBC’s America’s Got Talent. He didn’t take the top prize that year, but his talent has taken him to new heights. 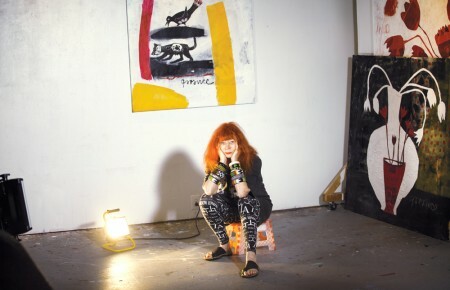 Born John van der Put, the London native landed a residency at the Flamingo in Las Vegas in 2015—it was recently extended through this year. He also performs throughout North America bringing his magic performing Chihuahua, Mr. Piffles, along with him. 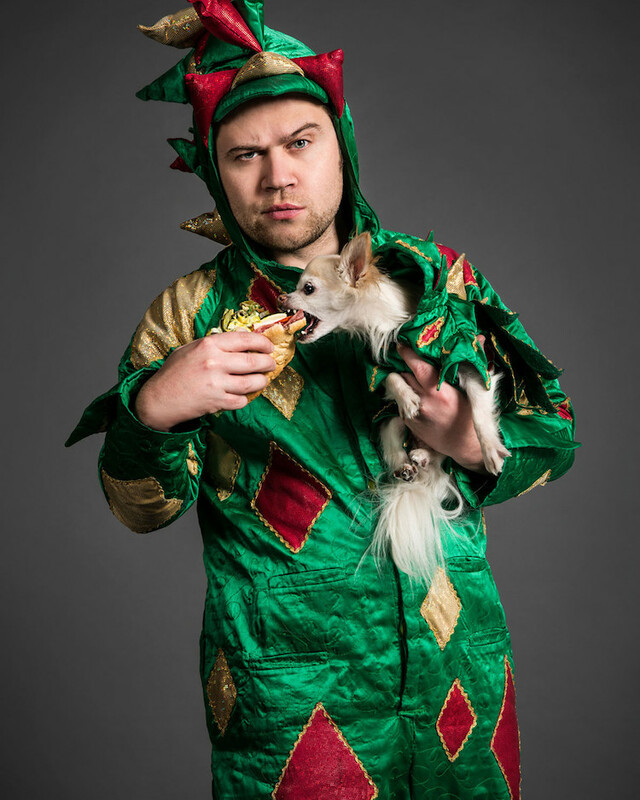 Currently on his Dog Who Knows 2018 Tour, Piff will make a stop at the Paramount in Huntington on Feb. 9. The funny magician spoke with me about his act, Mr. Piffles and the show that made him famous. When I was a kid, I would do it as a hobby. Then I sort of never really wanted a job—I was always too lazy to get a job. I ended up trying to do magic for a living. And over the years, that turned into my full-time job. 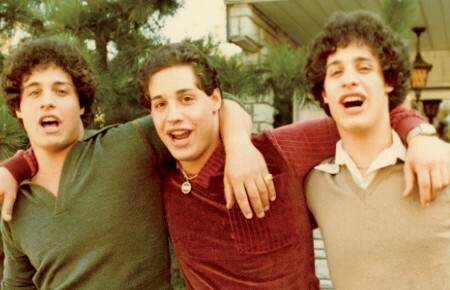 Did combining comedy and magic come naturally for you? In the beginning, I was doing all of the magic in regular clothes…and people would fire me because I was too grumpy…I’m not all that grumpy, but I look grumpy. I had to find a way to make it all work. And part of the comedy side of it was very natural, too. If someone was being an idiot, I couldn’t resist calling them an idiot. How did you come up with the idea of wearing the dragon outfit? I went to a party—it was a costume party—as a dragon because my sister had a dragon outfit under her bed. I don’t know why she did, but she did…Nobody else was in costume. I was looking very upset at this party, in this dragon outfit, and my friend said, “Hey, you should do this in your act! You can be Puff the Magic Dragon!” And I said, “Wait, I can be Piff the Magic Dragon, you might have heard of my older brother.” Before I was just a grumpy guy. But apparently, a grumpy dragon is hilarious. Everyone who was firing me for being too grumpy suddenly started hiring me and my career took off. Has a trick ever backfired or gone horribly wrong? Many times. But the good thing with magic tricks is the audience doesn’t realize they go wrong; they’re just a different ending. Is Mr. Piffles a good traveling companion? He’s great. He travels better than I do. He just falls asleep on the plane and wakes up when he gets there. He gets to sit on my lap the whole journey. He’s pretty used to it. What are your thoughts on your appearances on America’s Got Talent, and what it did for your career? Any advice you can give for any budding magicians out there? Yeah, never shoot a dog out of a canon. What can people expect at the Paramount on Feb. 9? This is our third time back and every time we come, we want to come with a brand new show. This year, Mr. Piffles is really the star of the show. The show is called “Piff the Magic Dragon and the Dog Who Knows.” Mr. Piffles is going to be performing incredible mental feats, including reading a woman’s mind and telling her all about her future.